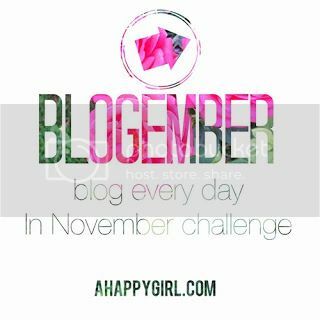 Today's Blogember blog every day in November challenge is to blog about a book that has changed your life. I've read a lot of great books, but none that I can say has truly changed my life. I've been trying to read more and I think one of my 2014 new year's resolutions will be to read at least one book a month. 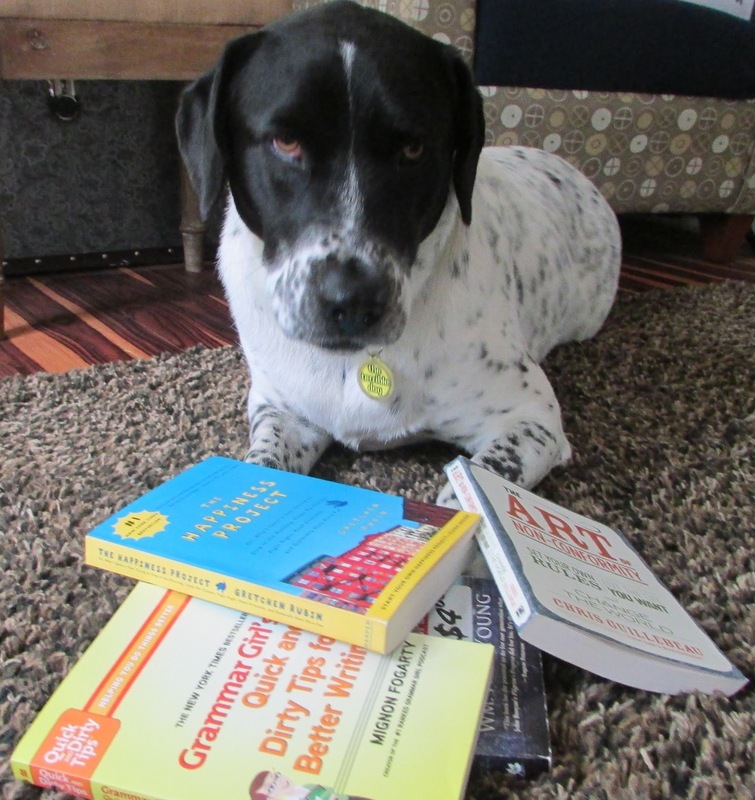 I once wrote a blog post once about some of my favorite books called "Exercise Your Mind." I'd love it if you would check out that post to read my non-fiction book recommendations. "While most of my friends are obsessing over 50 Shades of Grey and reading novels about teenage vampires, I tend to lean towards non-fiction books. I like to read books that will inspire me, educate me, and help me grow as a person. Of course, there is nothing wrong with losing yourself in a juicy novel, it can be a great escape, but reading a fiction book sometimes feels like a waste of time. I am not sure why I feel this way, as I certainly waste plenty of other time watching mindless TV (Hello! Walking Dead! ), surfing the net, reading fashion magazines, and watching movies. Maybe it is because books are such a time investment, I want to make sure I get out of them what I put into them"
So instead of the book that changed my life (since it doesn't exist), I will tell you about the book I am currently reading. While it is not exactly a change-your-life kind of book, I am learning a lot and it it inspiring me to rethink (and change) my training. 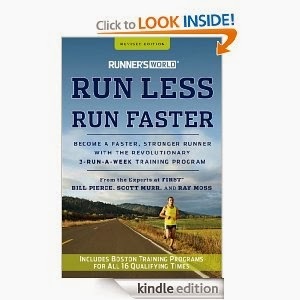 Runner's World: Run Less, Run Faster. I downloaded the book on my Kindle Fire and I am regretting that I didn't buy a paper back version because I feel the great need to turn back page corners, flag, and highlight things I need to revisit. There is so much information, it definitely can't been retained with one pass, and while I might bring a book out on a track to reference, I'll probably feel awkward with my Kindle Fire. 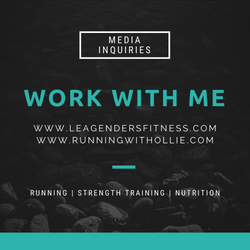 The general idea of the book is that you can run just three times a week, with three focused, goal-oriented runs, and gain maximum progress and improvement over a relatively short period of time. Instead of running mile after unfocused mile, each run has a goal and a purpose. Each run is challenging enough that you'll need the rest day(s) and cross training after to recover. The book gives very specific training plans for every level. The running workouts include three quality runs weekly that tell you exactly how fast and how far you should be targeting based on your current 5K time. There are charts! I love charts! and recommendations for cross training and rest days. I haven't made it through the book yet, still reading, and still considering purchasing an old school (aka paperback) copy so I can mark up the pages, but I plan on starting this new running plan in January. 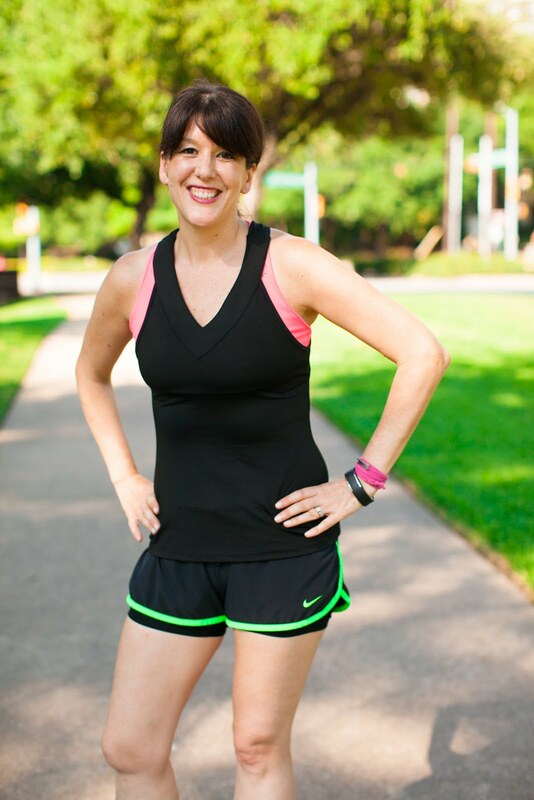 I love the idea of running with purpose, and it frees up some time for cross training, and everyone knows a runner who cross trains is a healthy, less-likely-to-be-injured, runner. So maybe this book didn't change my life, but it may just change my training. I want to remind you that I have a huge giveaway going on right now until Dec 2nd. 2013 Holiday Gift ideas for runners and you can enter to win all the gifts! Click over to check it out and to enter! I will add this to my never ending pile of books to read. Sounds interesting though. I'm reading 'the power of habit" at the moment and I'm really enjoying it.